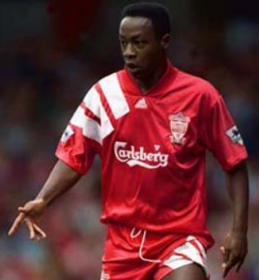 Former Liverpool winger Mark Walters has suggested in his autobiography that he was eligible to represent the Nigeria National Team through his father, Lawrence Wabara, before hanging up his boots. The Birmingham native earned nine caps for England U21s and a solitary cap for the Three Lions in a friendly against New Zealand in 1991. Regarded as one of England's finest wingers back in the day, Walters could have played for a third country if he wanted to as he has a Jamaican mother who raised him. He chose to take his mother's name because of the lack of relationship with his father, who played for Nigeria in the 1950s. ''I only found out about that in my teens when I saw some pictures,'' Mark Walters said, according to The Guardian UK. Walters won the FA Cup and Football League Cup during his time with Liverpool, and also represented Rangers in Scotland, Aston Villa, Stoke City, Wolves and Southampton.